Occurring around 8,000 to 5,000 years ago, the Chalcolithic was a period of increasing social complexity as farming villages flourished. Agricultural production intensified, large-scale trade networks expanded, settlements became increasingly interdependent, and population density soared [1, 2]. Material culture, technology and social organisation became increasingly complex, leading to the first literate, urban centres in Mesopotamia by the end of the Chalcolithic . Much of the cultural developments that occurred in Mesopotamia and the rest of West Asia also spread to the Caucasus region . This is an area located between the Black Sea and Caspian Sea, comprised of the countries of Armenia, Azerbaijan, Georgia and Russia. 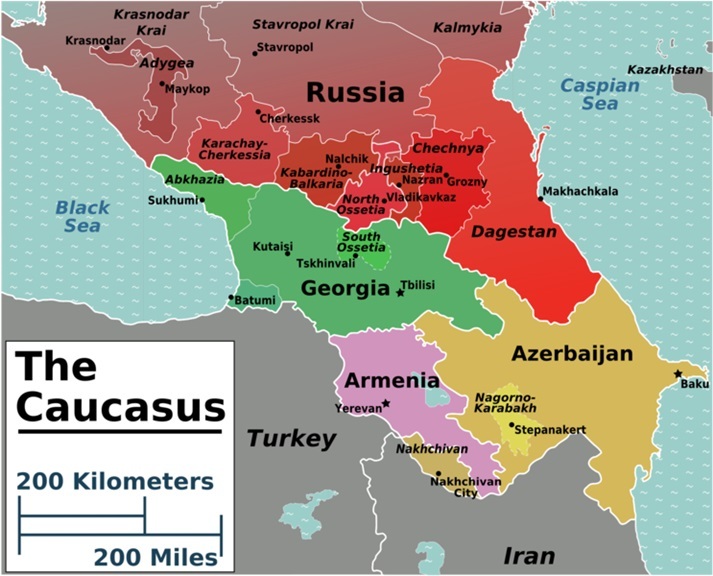 The region is dominated by the Caucasus Mountains, which act as a natural boundary between Asia and Eastern Europe. In the Caucasus, the preceding Neolithic period has been characterised by the adoption of agriculture and a sedentary lifestyle . By around 8,000 years ago, Caucasian communities were growing rain-fed crops like barley, wheat, rye, lentils, and legumes, and farming sheep, goats, cattle, and pigs [2, 6]. The production of metal became common during this period, and evidence of metalwork is often used to differentiate between late Neolithic and early Chalcolithic sites. The late Neolithic and early Chalcolithic in the Caucasus is best represented by the Shulaveri-Shomutepe culture, dating to 7,900 – 7,000 years ago, and found at sites such as Shulaveris Gora in Georgia and Khatunarkh in Armenia [7, 8]. This culture is characterised by circular mud-brick architecture, sophisticated obsidian technology, and coarse, handmade pottery [6, 9, 10]. Many of these cultural traits are believed to have originated in nearby West Asia, showing particular similarities to the Chalcolithic Halaf culture that ranged from northwest Iran across northern Iraq and Syria into southern Anatolia [11, 12]. The later Chalcolithic was a period of cultural development. Evidence of larger, multi-roomed structures can be found, such as a possible temple at Berikldeebi in Georgia. Similarly, in Alikemek-Tepe, Azerbaijan, a semi-subterranean building has been discovered, which featured clay walls, painted white and decorated with geometric designs . The amount of handmade ceramics also increases, some with decorated or serrated rims. Obsidian technology was common, and we also see an increase in metallurgical experimentation, with a knife found at Tekhut, and awls and a bracelet discovered at Berikldeebi . 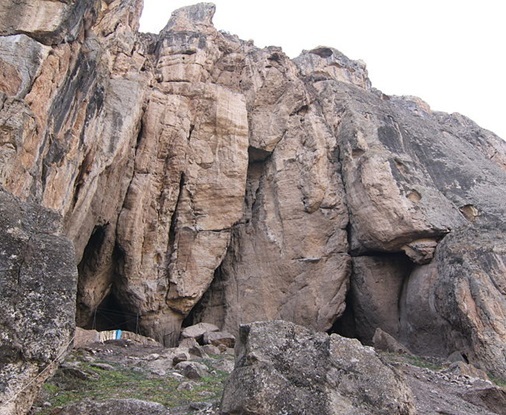 Areni I is a three-chambered cave located near the modern-day village of Areni in southern Armenia. Also known as Birds’ Cave, this was a Chalcolithic site dating to 6,300 - 5,400 years ago . The conditions of Areni I allowed excellent preservation, and organic remains indicate its inhabitants ate barley, wheat, lentils, and nuts, as well as fruits such as plums, grapes and pears . Evidence shows that the community at Areni I used the cave for multiple purposes: living, raising livestock, producing wine, manufacturing obsidian tools, and performing ritual behaviours. In fact, this site yields the world’s earliest evidence for wine-making and footwear: a 6,100-year-old winery, featuring fermentation vats and a wine press, was discovered here, as well as a well-preserved leather shoe, dating to 5,500 years ago [7, 15]. 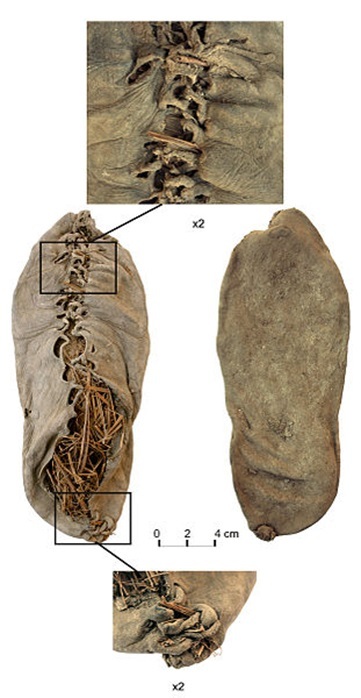 Likely a European size 37, this shoe was meant to be worn on the right foot, and was stuffed with grass to maintain its shape during storage . Textiles, baskets and reed mats have also been discovered here, as well as a few copper weapons . A large amount of stylistically heterogeneous pottery is also present, including painted and engraved pottery found at various sites across the Caucasus, suggesting the community that inhabited Areni I was involved in long-distance trade networks. There are multiple secondary burials at Areni I, in which human skulls were buried in clay pots . Five individuals (three males and two females) have been genetically sequenced, including three children aged between eight and fifteen years old . DNA analysis indicates that Chalcolithic Armenians, such as the inhabitants of Areni I, derived around half of their ancestry from the Neolithic peoples of Anatolia. A further third of their ancestry was inherited from Neolithic Iranians . All three male specimens from Areni I carried Y-chromosome haplogroup L1a-M27. This M27 mutation is common in South Asian haplogroup L Y-chromosomes, but was absent from Y-chromosomes found in Anatolia [18, 19]. The fact that all three males carried haplogroup L shows that this haplogroup was present in Chalcolithic Armenia; however, since all three samples come from the same site, it is undetermined whether this haplogroup was common or not . Today, L occurs at a very low frequency in modern-day Armenians . Two of the Areni I people carried mitochondrial haplogroup H, whilst another two carried haplogroup K. Both H and K originated in the Near East, and are common in Europe today [21, 22]. Genetic analysis reveals that the Chalcolithic Armenians derived around one-quarter of their ancestry from the ‘Basal Eurasians.’ The Basal Eurasians are a lineage which split off prior to the differentiation of all other European lineages, and prior to the interbreeding between Neanderthals and modern humans that occurred around 50,000 – 65,000 years ago . Achilli, A. 2004. 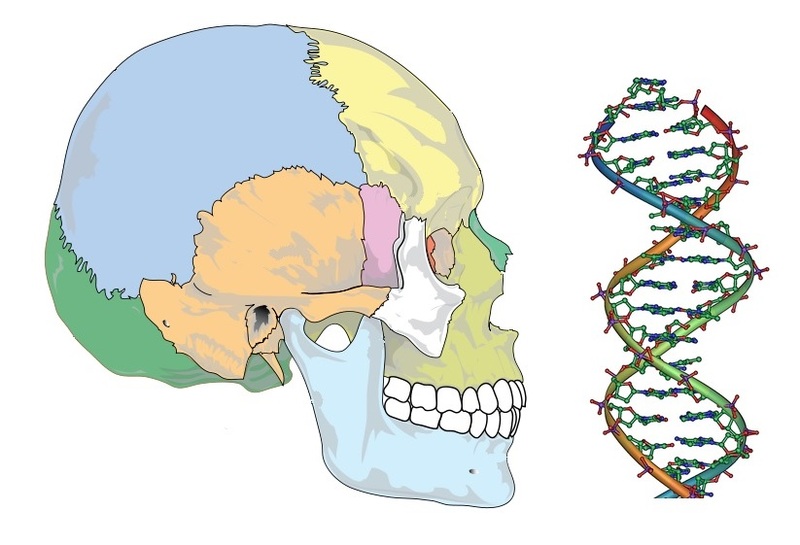 The Molecular Dissection of mtDNA Haplogroup H Confirms That the Franco-Cantabrian Glacial Refuge Was a Major Source for the European Gene Pool. American Journal of Human Genetics. 75: 910–918.